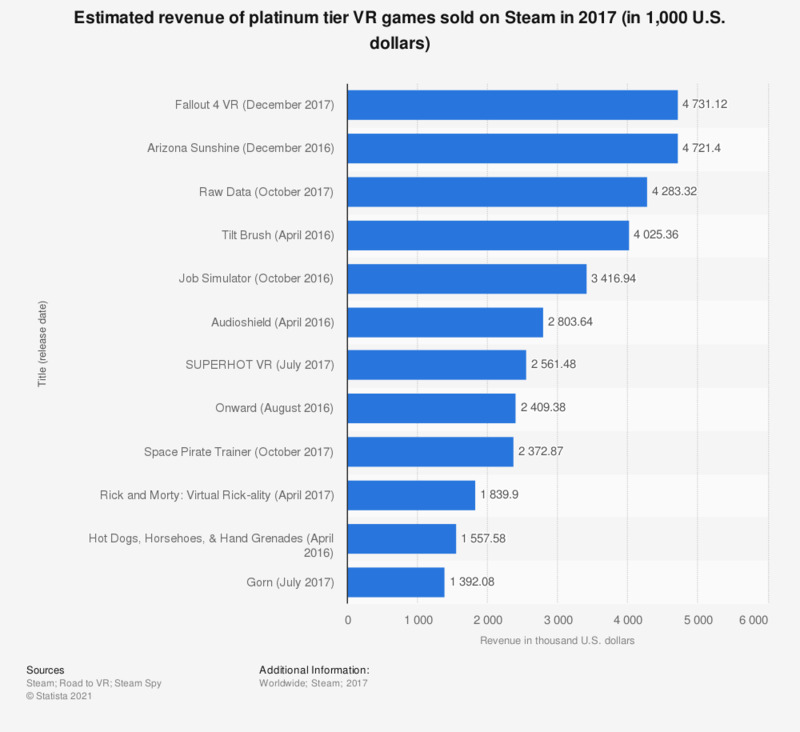 This statistic presents the estimated revenue of platinum tier VR games sold on Steam in 2017. According to the findings, Fallout 4 VR had the largest estimated revenue in the measured period, with a result of 4.73 million U.S. dollars. Arizona Sunshine followed closely with a 4.72 million revenue. What factors do you think are important in deciding where to buy a virtual reality headset?